This is part of a series of blog posts sharing my family’s experience with eosinophilic esophagitis in response to reader questions. Check out prior articles in the series here, and always consult your physician. Diagnosis of eosinophilic esophagitis (EE) is frustrating and complex. I think this is largely because you can’t see the problem. If you get a rash on your skin, you can see it. With EE the symptoms can be largely hidden, and mimic many other problems. My son’s problems really hit a peak when he was in elementary school. Around third grade, it was quite common for me to get a call from the school nurse in early afternoon (after lunch) saying that my son had thrown up – I got these calls sometimes 2-3 times a week. But he always said he was fine and he never had a fever. In any other child a parent may have suspected that he was trying to avoid class, but not here – he hated missing school and always wanted to go back to class. At home, we would also see problems around mealtime. Often he would complain of pain in his chest, and he would sometimes be hovering over the sink expecting to throw up. Important note – usually if he threw up he felt better, but could never eat after that. We visited doctors. At that point our medical insurance required a referral to a specialist so it was always a visit to the pediatrician then to the specialist. It was when we saw a pediatric gastro-intestinal specialist that we made some break-throughs, but even then it was slow going. Everything we tried seemed to work for a while. He was diagnosed with acid reflux, and he started taking the purple pills. That really seemed to help at first. Knowing what I know now, I understand that the medication (which reduces the acid in the stomach) was really masking the problem. He no longer had as much pain in his esophagus because the acid wasn’t there to irritate his inflamed esophagus, but he still had difficulty eating. 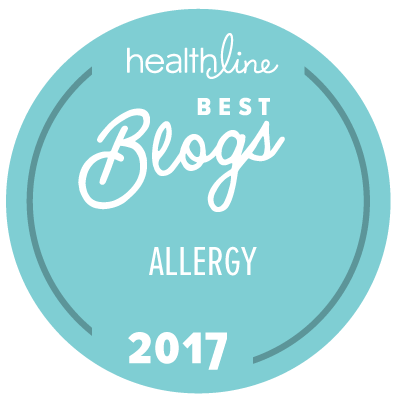 It was clear that food was causing the problem, but even though food allergies were quite common in my family, I didn’t perceive this as an allergy. Nevertheless, I did suspect that milk was a problem. He stopped having milk with school lunches (and that did minimize the calls from the school nurse). So we had him tested to see if he was lactose intolerant. After a grueling four-hour test where he drank an awful-tasting solution of milk sugar and had to periodically breathe into a tube, we discovered he was indeed lactose intolerant. How do I know the stuff tastes awful? Because I did the test too – and discovered that I am also lactose intolerant. So we eliminated milk from our diets. Meanwhile he was still growing. He started playing sports and hit that age when boys eat a lot. And he was still miserable. During the summer he turned ten, he was eating peanuts by the handful. For those who missed episode one of this series I will note again that my son is allergic to peanuts. (I have a suspicion that we crave what we are allergic to, but that is just a suspicion and not scientifically proven.) He developed a painful itchy rash on the palms of his hands. At the same time, we were still trying to diagnose the gastro-intestinal problem. Next up was a barium swallow, where the patient swallows different foods while x-rays are taken to see if food gets stuck. Unfortunately we didn’t know which foods caused the problem, so he swallowed things like lettuce (because he complained that lettuce would get stuck in his throat), and the test showed no problems. Next was his first endoscopy. Readers have asked whether we did an endoscopy, and the answer is yes – this is where we really started to make some progress. After his first endoscopy his doctor said that she had never seen such an inflamed esophagus. At this point my son was off milk completely. We stopped the Prevacid for acid reflux, and started looking for reasons for the inflammation. During the endoscopy the GI had taken some biopsies. As luck would have it, my son was also visiting a dermatologist for the rash on his hands around the same time. The dermatologist was baffled – the rash was something he couldn’t identify, so he also took a biopsy. If these two biopsies had not occurred around the same time, we may not have made as much progress in the diagnosis. A tech in the lab actually noticed that the eosinophilc (cells) from his endoscopy biopsy and from his palm biopsy were identical. This is when we started thinking it was an allergy. Next up in this series: When did we know for sure it was EE? 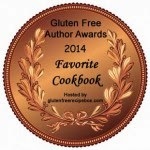 I’ve tested as many of the gluten-free and allergen-free flour blends that I can find, so I was very excited to try Jules Gluten-Free All Purpose Flour. This blend, like those I have reviewed in the past, is a mix of many different flours, but is unique in one very important way – it uses Expandex modified tapioca starch. Expandex is made from tapioca root, but enhanced so that it behaves more like wheat flour. It’s objective is to provide a better texture, better binding properties, and a better appearance. Jules’ flour combines Expandex tapioca starch with potato starch, corn starch, flour, rice flour, and xantham gum. Because the xantham gum is included in the mix, there’s no need to add more gums when following gluten-free or allergen-free recipes that call for them. Those with corn allergies will need to choose another blend, like the King Arthur Gluten-free flour. For this test, I decided to use Jules’ recipe for soft pretzels. I made one modification to the recipe that’s available at her website – I substituted flax seed goop for the egg. Other than egg, her recipe is free of the top eight allergens. I purchased a 1.5-cup sample of the flour – the perfect amount to make my pretzels. I used the couple extra tablespoons I had for dusting my rolling surface. So, how did the flour perform? I found this flour really easy to work with as I rolled out the pretzels. They rose nicely during proofing. Even during the soda bath boil, the pretzels held together really well. Perfect pretzels that tasted great! You can pull these apart the same way you do a pretzel that you buy from a New York corner vendor. 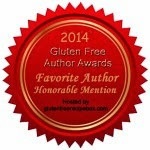 I saw none of the crumbling or grittiness that we sometimes get with gluten-free flours. This flour blend is a winner! But who needs cookies made with wheat and butter, anyway? Especially when companies like Enjoy Life bring us so many great allergen-free options! The two cookie varieties I am writing about today are both from the soft-baked collection and true to their description have a cake-like texture to them. The Enjoy Life soft baked happy apple cookies have a mild fruity flavor, while the soft baked double chocolate brownie cookies are the ones that will satisfy the chocolate lover in the family. Both are made from a sorghum flour base with fruit juice concentrates. What you won’t find in these cookies are wheat, milk, eggs, or soy. And despite the fact that the happy apple cookies have a nutty taste, they contain no nuts. These are also great for those on a gluten-free diet. The cookies come in boxes of twelve, which can easily be divvied up in baggies for the lunchbox. What’s your favorite allergen-free snack cookie?